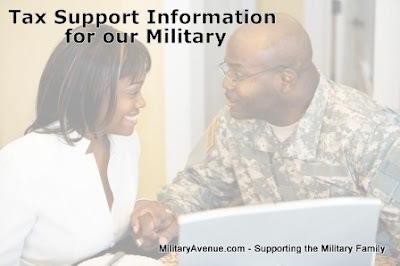 Military OneSource Provides Tax Assistance Service: As tax season nears, Military OneSource and H&R Block have joined forces again to provide a free online tax preparation service for service members. 5 Tax Tips for Tough Situations: Your returns may be relatively uncomplicated — but sometimes new circumstances can make tax preparation a bit trickier. Follow these tips to avoid making mistakes. Special Tax Breaks for Military Members: Military service demands sacrifices — some personal, some financial. But in many cases, Uncle Sam recognizes those hardships and offers special privileges to compensate. When it comes to paying taxes, for example, military members can claim a host of tax advantages that aren't available to civilians.